When it comes to finding a soccer leagues streaming comparison guide, it’s important to select one that includes coverage of the soccer leagues and tournaments that you enjoy watching the most. 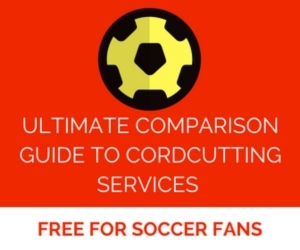 Sometimes trying to find that information isn’t as easy as you would expect, which is why we’ve created a soccer leagues comparison guide (see below). 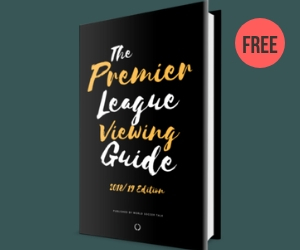 The soccer leagues comparison includes the top soccer leagues from Europe and the Americas, and where you can find them across the popular streaming services such as YouTube TV, ESPN+, B/R Live, NBC Sports Gold, Sling TV, PlayStation Vue and more. Many of the streaming services include free trials so you can test them out before you buy (just click on any of the links in the comparison sheet below). Some of the streaming services such as fuboTV, Sling TV, PlayStation Vue, YouTube TV and DIRECTV NOW include tons of entertainment, news and kids channels in addition to the soccer-related networks. And then you have sports-specific streaming platforms such as B/R Live, Fanatiz and NBC Sports Gold if you want sports-only. At the end of the day, streaming services offer you more choices at less cost. Plus, most of them don’t force you into a contract so you can have the flexibility to cancel whenever you want. Do you have questions about the soccer leagues streaming comparison? Let us know in the comments section below. And, at least here in NYC, YTTV also has Telemundo. DTVN (and I assume fubo) have complete CL coverage via the Univision deportes site. This does not even mention the blackouts for national televised games. Not sure how its less cost when you must pay for multiple streaming services. I have also found that ESPN+ and fuboTV to have crappy streaming services. I have had the complete opposite experience with ESPN+ and have found their streaming quality top notch. ESPN+ has been great for me. No issues with streaming at all. fuboTV had a ton of issues when I did the trial. Constant buffering and picture quality changes. What about streaming services in Canada that include the Bundesliga plus some other Europian Soccer? As for other coverage we would only be interested in Bundesliga but if nothing was available on any particular day, we would watch other leagues. When I have had a services, we could not get the teams in the Bundesliga that we were most interested. I do not want to use a service that asks for a credit card and establishing a betting account. I would appreciate a reply from those who have good information on getting the Bundesliga. Hi Samuelette, unfortunately all of the info we have is focused on the US, so we don’t have info on the services available in Canada. I feel as if YTTY + Fubo Latino would be a winner for most people. New England Revolution supporter here subscribing to Fubo. I considered switching to YouTube TV (both carry NBCSports Boston and YTTV slightly cheaper), but thanks to this comparison chart will stick with Fubo. Does anyone know what other streaming services carry NBCSports Boston?